Density with a Capital D! 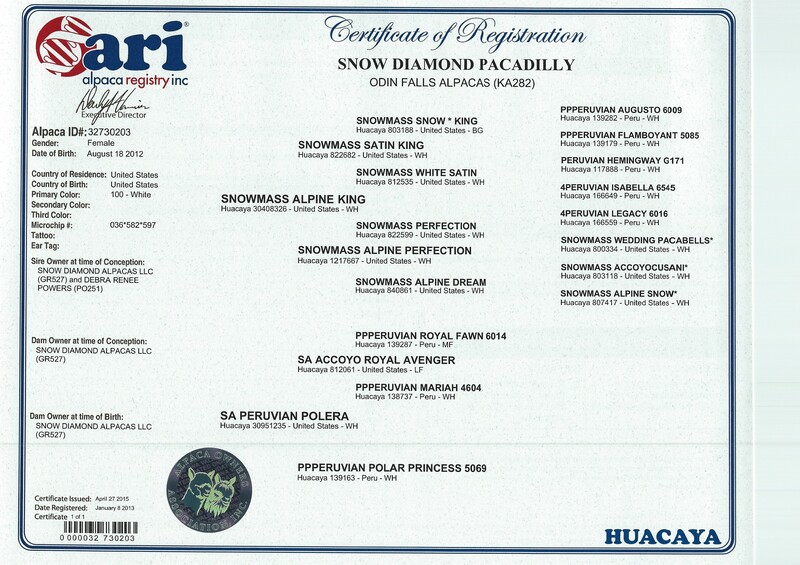 A Royal Fawn granddaughter, Polera is a solid dam with good conformation and the proven ability to pass her famous grandsire's legendary traits on to her offspring. 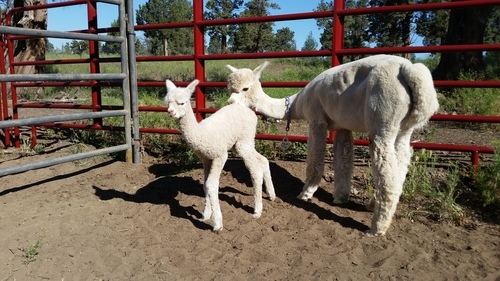 Her first cria, by Sunny Mesa's Tuscan Gold, is Winter Gem Petrina (pictured with her mom), a pretty fawn girl with lovely white accent markings on her legs and around her head and neck. 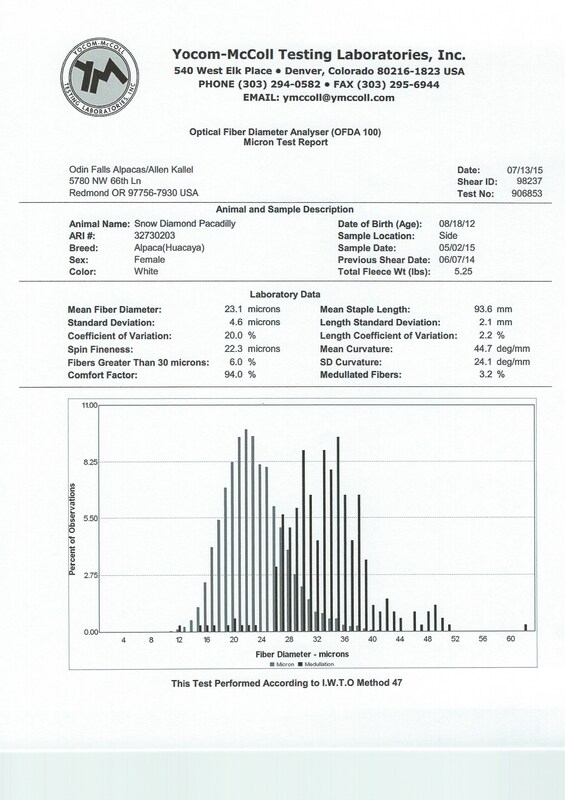 Petrina -- whose 2010 histogram showed AFD of just 16.0 microns -- took First Place in her class at the 2011 Southwest Alpaca Show in Phoenix. The judge said Petrina was "lovely and balanced," and the "most complete" in the class. With respect to Petrina's fiber, the judge also liked her staple length and softness of hand, and mentioned the combination of consistency and brightness that she found in Petrina's fleece. 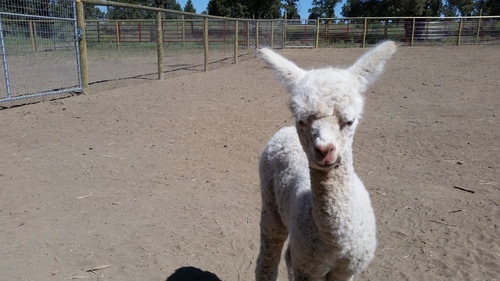 Polera's second cria is the charming Snow Diamond Petraeus, whose sire is El Corazon di Bella Vita. Petraeus's fiber is long, bright and uniform, and he -- like his half-sister Petrina -- has his mother's pretty face. Petraeus has taken a banner and several 1st Place ribbons, and continues to win accolades for his fineness, handle and conformational correctness.. 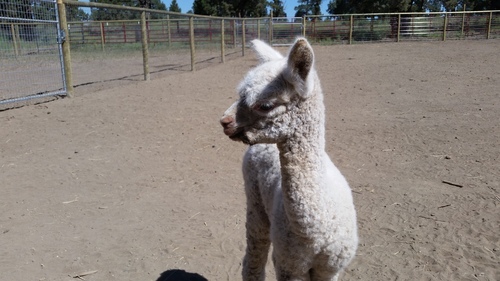 This year, Polera had a very pretty female cria -- Pacadilly -- by Snowmass Alpine King. It's hard to tell at her young age whether she's a beige or a very light fawn, but either way, she has fine feece and pretty corkscrew curls all over, which is typical of Alpine King crias. In fact, we are so pleased with this cria that we have re-bred Polera to Alpine King for a 2013 cria. Polera is a sweet and cooperative animal with an attractive head, calm demeanor and trusting nature. She has many productive years ahead of her, and if Petrina, Petraeus and Pacadilly are any example, she will contribute more than her fair share of show-quality offspring to make her owners happy and proud. 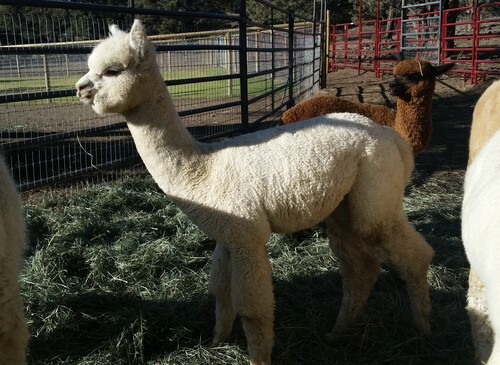 Polera is available for purchase, bred to Snowmass Alpine King and with her 2012 cria at side, for just $10000. 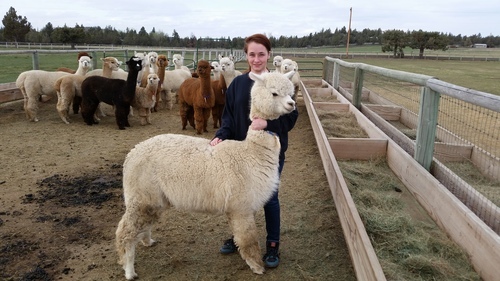 Pacadilly's 2015 cria came out at 20+ lbs. with a brilliant White fleece. 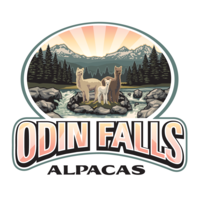 She was sired by Snowmass Defiance, and her name is Odin's Defiant Destiny. 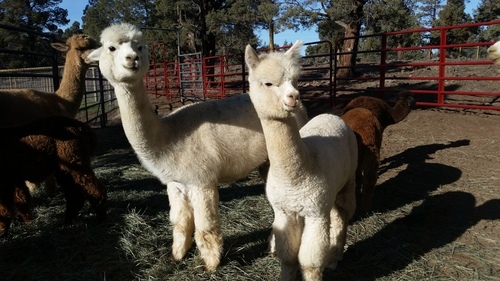 Pacadilly was once again bred to Snowmass Defiance for her 2016 cria. Oh Boy!!!!! !